I love photographing high school seniors so much. As you can see most of the senior kids who hire me are a bit quirky and fun. Outside the box is where I come in. This particular photo was photographed in late summer in Post Falls, Idaho. CJ told me that he was willing to let me do what I do, which is make art, and have fun. This building was on a property not to far from my office and had multiple buildings on the property that were up for sale and no longer being used. I took advantage and shot photos there while it was still standing. It has since been torn down for a medical facility. CJ had some costumes, as well as many other props. The fancy shirt and tie were his last outfit change, and he was looking for a photo that showed him in nice attire yet fun. I love lines in my photography. I am always looking for lines. To get the lines I wanted for the particular image, CJ had to climb about 12 feet high. The natural light was shining through a hole in the ceiling and created just enough lighting to make this photo one of my favorite senior pics for 2015. Its amazing how many great locations I scout, then use to photograph, then shortly after they are no longer there. A great way to capture time I suppose. With that said, I hope you enjoy. If you or someone you know wants to climb up stuff and have not your ordinary school photos, look no further. 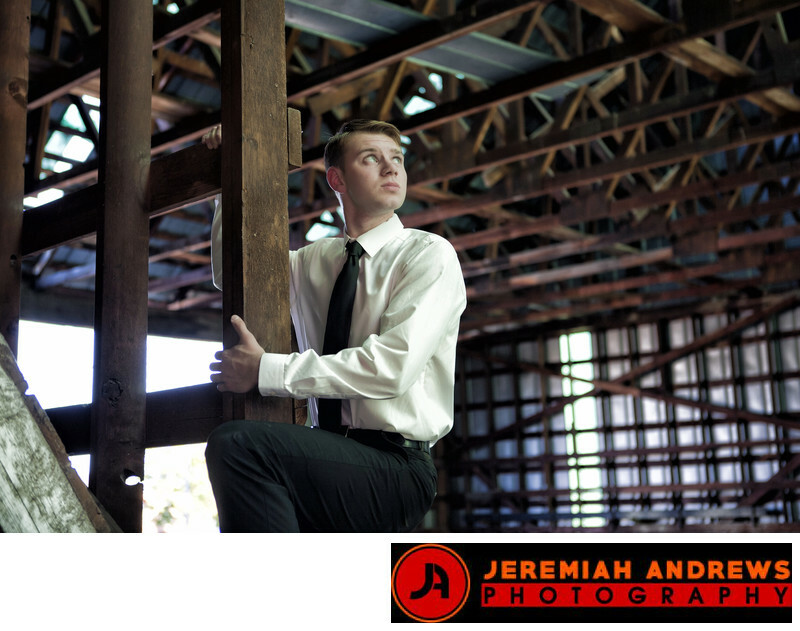 Keywords: CDA High School Senior Portraits (6).